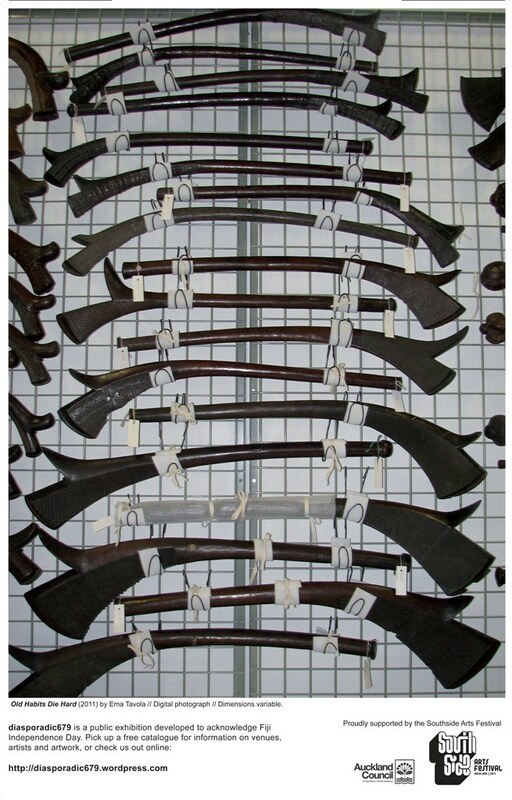 These Fijian war weapons are in the collection of the Museum of New Zealand – Te Papa Tongarewa. Fijians ‘were’ a warring people where violence and indigenous politics were paramount. In 2011, the weaponry has changed but old habits die hard. Ema Tavola is a visual artist, writer and curator of Fijian / New Zealand Pākehā ancestry, currently living in South Auckland. 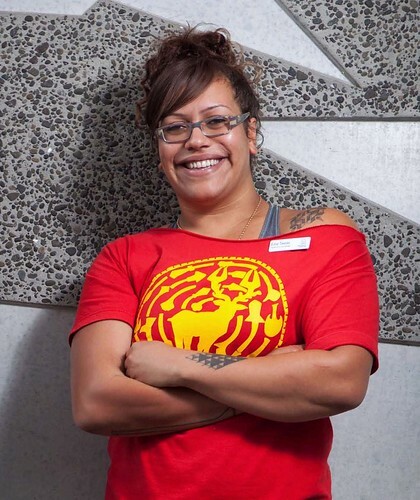 She works as the Pacific Arts Co-ordinator for Auckland Council (South) managing Fresh Gallery Otara, a community gallery profiling contemporary art from South Auckland and the Pacific. As a visual artist, Ema’s practice began at the Oceania Centre for Arts, Culture and Pacific Studies, University of the South Pacific, Suva, Fiji. 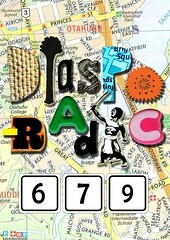 Her first work created there, Phallus Palace (2001) is on permanent public display at AIDS Taskforce in Suva. Ema went on to complete a Bachelor of Visual Arts (Sculpture), at the University of Auckland, and has gone on to exhibit in group shows in Auckland, Suva and Hawai’i. In a curatorial capacity outside of Fresh Gallery Otara, significant recent projects include small axe09– a collaborative video project for ARTSPACE and YOU LOVE MY FRESH – a solo exhibition by Tanu Gago at Te Tuhi Centre for the Arts. Ema’s writing has been published in exhibition catalogues in Australia, Fiji and New Zealand.